Special edition of the Civic Academy with Nobel Peace Laureates! Do you know that it doesn’t take much to steal sensitive data from your notebook? Is there a chance for a non-violent resolution of the conflict in Syria? What to do to make a peaceful, democratic change around the world? These questions and issues, related to the major challenges faced by Europe and the rest of the world, will be discussed by 200 young international leaders as part of a special programme of the Civic Academy. 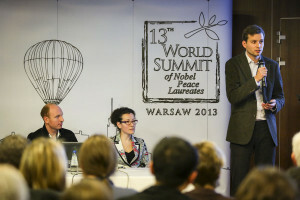 The sessions will be held as a satellite event of the 13th World Summit of Nobel Peace Laureates in Warsaw. In the next three days (21-23 October), Academy participants will attend a series of the Summit debates and meetings as well as 15 dedicated workshops. The young leaders’ discussions will feature such issues as political transition, online safety or current conflicts globally.  The event’s speakers include the Nobel Peace Laureates participating in the Summit and representatives of prominent non-governmental organisations such as Tadatoshi Akiba, former Mayor of Hiroshima and co-founder of Mayors for Peace or Guram Odisharia, Georgian Minister of Culture and Monument Protection. Muhammad Yunus, originator of the concept of microcredit, will conduct two workshop sessions on social values in business. Frederik Willem de Klerk, former President of South Africa, will present themes associated with political transition, using the example of his home country. Members of Reporters Without Borders will speak of the Internet safety and related risks. 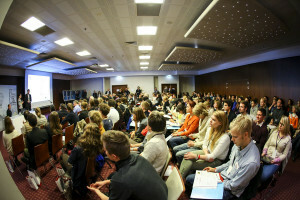 The Civic Academy is a recurring project for young public leaders organised by the Lech Wałęsa Institute since 2010. The Academy is frequented by representatives of think-tanks, NGO leaders, young businesspeople and academics. The participants take part in sessions and panels organised by Civic Academy partners and meet with artists, entrepreneurs and policy-makers. Another purpose of the Academy is to ensure interactive communication and exchange of insight and experiences between different generations of opinion leaders. The Academy provides the Nobel Peace Laureates with a unique opportunity to understand the needs and ideas of young leaders regarding the most important spheres of social and political life. “It is extremely important to engage young people in such events as the Nobel Peace Laureates Summit, because it is their future we will be talking about”, says Sónia Neto, Personal Advisor of the President of the European Commission Jose Manuel Barroso, representing the European Union during the Summit.